Take your future into your own hands and turn it into a successful one. I have known about Erasmus Programme for a while, but I have never been brave enough to try it myself. However, when my friend from school told me that during the summer break she is going to Romania on Erasmus and they are looking for one more person to be part of the Slovak team, I did not hesitate for a minute to send the application. When I received an email that they accepted me, we started doing everything necessary with great enthusiasm. We agreed immediately that it would be a shame not to redeem tickets within the two-day limit before and after the project so we booked the apartment in Bucharest for two nights and went to the world. O Erasme som už vedela dlhšie, avšak nikdy som nebola natoľko odvážna skúsiť to sama. 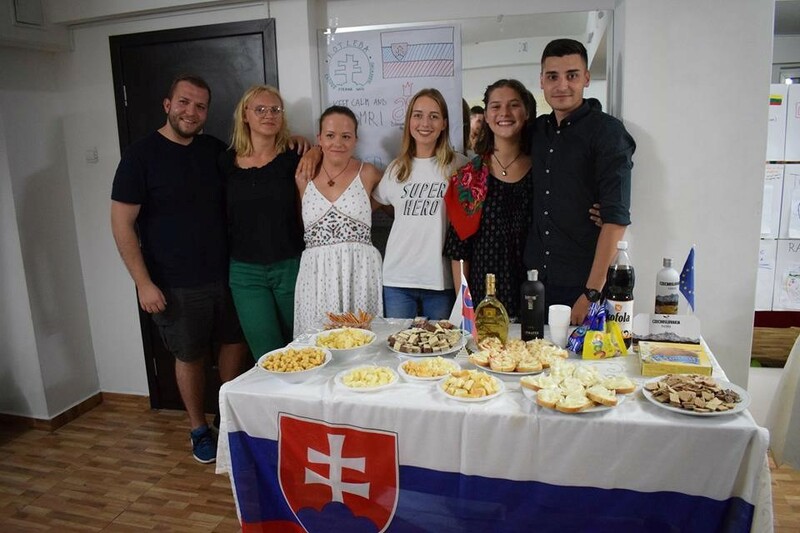 Keď mi však moja kamarátka zo školy povedala, že cez letné prázdniny ide do Rumunska na Erasmus a hľadajú do slovenského tímu ešte jedného človeka, so zaslaním prihlášky som neváhala ani minútu. Keď mi na druhý deň prišiel mail, že ma prijali, začali sme s veľkým nadšením vybavovať všetko potrebné. Hneď sme sa zhodli na tom, že by bola škoda nevyužiť preplatenie leteniek v dvoj-dňovom limite pred a po projekte a tak sme si na dve noci zarezervovali apartmán v Bukurešti a vydali sa do sveta. We arrived in Bucharest around 3 pm, and our adventure started really early by getting off at the wrong bus stop. With a little help of a map and advice from nice lady, we finally got to our Airbnb with view of the Parliament building, the second largest administrative building in the world. Bucharest was the city of paradoxes for us. On one side of the street was a large historic building and on the other one a block of flats from the recent times of Communism. All of this, however, had its own specific atmosphere and we fully enjoyed it. After two, to a certain rate exhausting days, we get on the train and headed to the city of our project, Târgoviște. We met a part of our Slovak group already on the train and I think I can say for everyone that we got along very well. 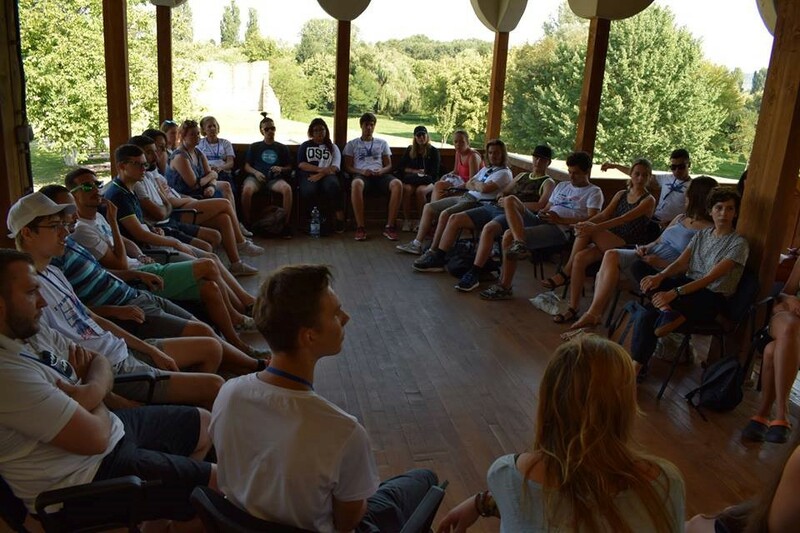 After a tiring journey in the heat of a Romanian train, we finally arrived to a hotel, where we immediately started to get to know each other with the rest of the participants, which were the Macedonians, Maltese, Portuguese, Latvians, Czechs and Romanians. The rest of the project passed too fast. Every day we had a program on Active citizenship and if I had to personally evaluate it, I would say it was elaborated, interesting and highly informative. A number of workshops, presentations, and discussions have been prepared for us. For me personally, the most original part of the program was simulation of a meeting. We also had trips to the city, Aquapark, and two days we had a program in the City Hall building where we invented new Erasmus projects in national teams. We spent the evening playing games or intercultural evenings of countries, where we presented our traditions, national food and attractions. Like everything good, this ended too soon as well. But I think that each of us has gained new experiences, skills, such as teamwork, friendships and rich experiences. Copyright © 2019 Youthfully Yours SK – Powered by Customify.